PDR is Not Just a Job… It’s an ART! Dent Time of San Diego offers professional paintless dent repair (PDR) and door ding removal on all makes and models. We specialize in high line, classics and exotics. We generate second to none high quality results that are achieved and done properly the first time. Trying to get the lowest price without considering experience when it comes to PDR can be playing with fire. We’re not saying the more you pay, the better the results. 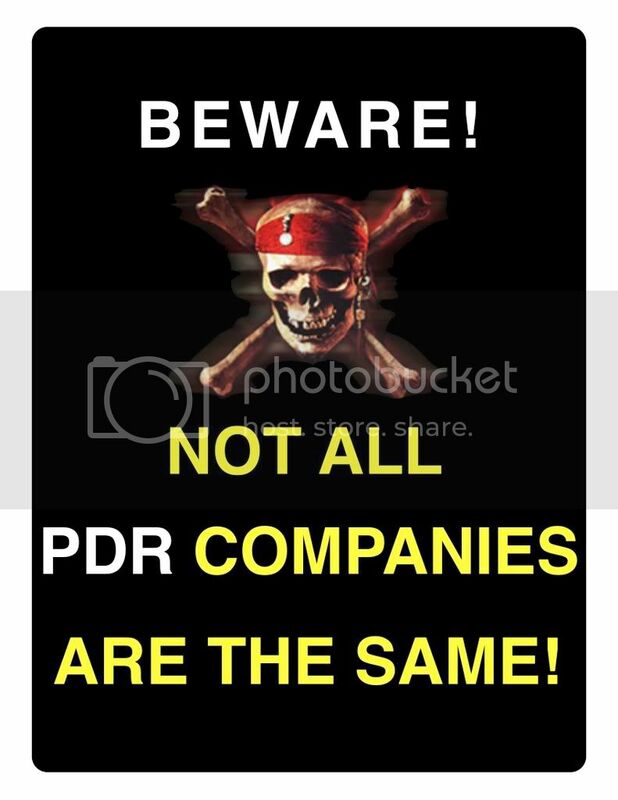 What we are saying is choose your PDR company with caution. In the end, you’ll be more concerned with the quality rather than the price if the repair was not achieved to your satisfaction. Here we explain the true PDR facts about choosing a PDR company. One thing you’ll want to consider is which Paintless Dent Repair/Removal (PDR) Company is the most experienced, not the cheapest. Attempting to save $10, $20, $30 or even $50 doesn’t compare to the unsatisfactory results or incomplete repairs you might experience. Paintless Dent Repair/Removal (PDR) is definitely a craft and not just a service… It’s an ART! Please be very careful when deciding which company will execute the best craftsmanship on your investing vehicle. The technician’s individual training, experience and skill will determine your results. Inexperience can lead to cracked paint, unnecessary drilled holes, incomplete dent repairs and lack of understanding the true art of PDR. All of our technicians have years of knowledge and extensive training with a skilled instructor before performing professional PDR on his own. We understand that every vehicle we perform paintless dent repair/removal is riding on our experience, talent and reputation. At Dent Time, we care about what you think and say after you have experienced our service. That’s why we have one of the BEST reputations for service, value and most of all, premier quality! In conclusion, even if you don’t choose our PDR Company for your needs, we would like to thank you for your time reading this important and valued information regarding Paintless Dent Repair/Removal.